As we have come to understand together that a six-wheeled vehicle is usually applied to heavy vehicles, it can be seen on the streets around the world. 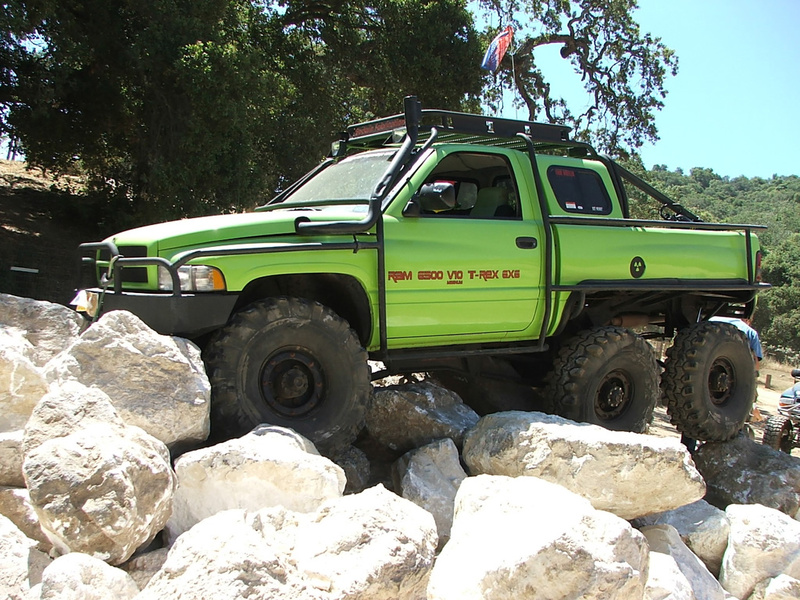 Besides it turns out that we can also see the six-wheel system is also applied to the pickup vehicle. There's an American automotive brands such as Dodge also feel the need to give birth to a different truck from the usual by adopting a six-wheeled system by using the Dodge Ram platform. 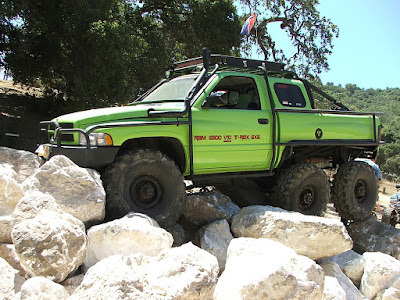 These Dodge Ram T-Rex 6x6 was born into the world in 1997 as well as the first Dodge's pick-up is supported by a six-wheeled drive system. 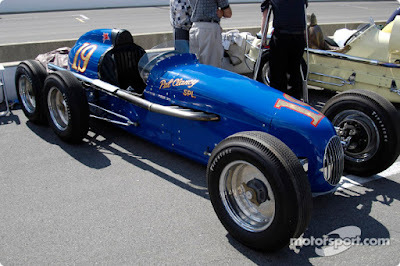 Unfortunately, T-Rex never entered the Dodge production line, because the American automotive manufacturer only made it as a prototype vehicles. 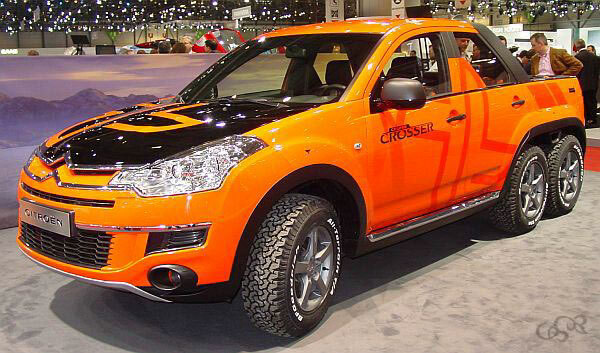 Sbarro-Citroën C-Crosser Cruise made its world debut in the 2007 Geneva Motor Show, these unique pick-up was built in cooporation with Franco Sbarro. In that time many preached that its first appearance amazed the exhibition visitors because these French made double cabin pick-up comes with its charming looks that adopted the 6-wheeled system. The C-Crosser Cruise is however a car of today, with its engine power hybrid-diesel in the spirit of the famous cars of the Croisière noire in the 20's. But, the fate of these unique Citroën's pickup is looks the same as Dodge Ram T-Rex above, cause since then until now no longer ever appear or discussed in the world automotive industry. The famous expensive vehicles home modificator such as Kahn, has been made the figure of SUV vehicles will look to be more extreme than its standard condition after adopting the six-wheeled system. And amongst many Land Rover Defenders are used as the 'ingredients' of modified vehicles by them but these six-wheeled Defender is the Khan's best masterpiece. 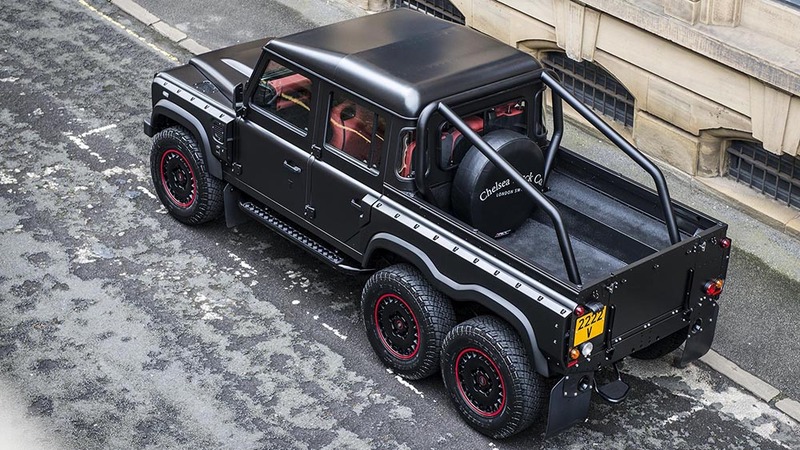 You can seen the figure of Defender appear more macho and fierce with its six wheels. Like the tactical vehicles used by military personnel on the battlefield. Mercedes-Benz G Class SUV series became one of the favorite vehicles among the world's off-roader. The ability of cruising range in rough terrain and irregular terrain even up the extreme climb is one of the features offered from this German SUVs. 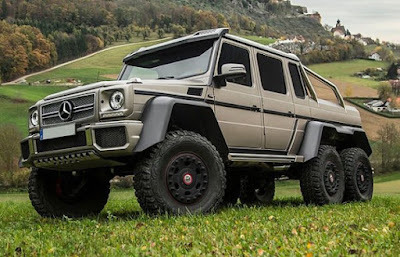 According to Jalopnik, the first Mercedes-Benz G63 AMG 6x6 was built in 2015. And a modified version vehicle with 6-wheels drive is first brought to the Middle East, where the country's conglomerate gave a special order to make G63 special version, for fullfill their hobby on exploring the desert terrains.